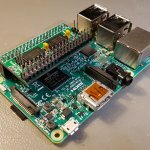 I am offering a signal converter for the PiTubeDirect project for anyone that is interested. There are now 4 models available. Please see links for pictures. 2. Fitted under the BBC for Pi Zero. 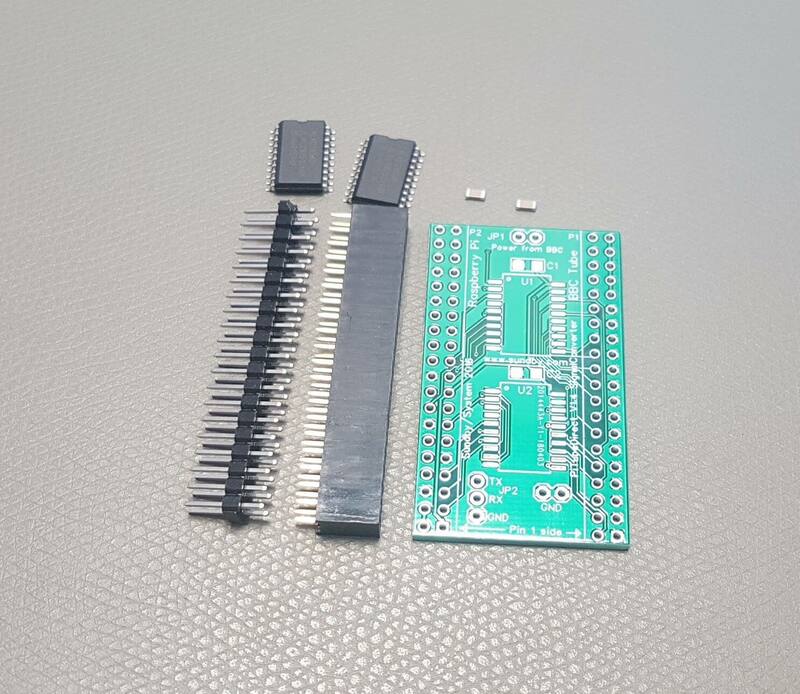 The same PCB as the external, but with different connectors. The cost is £17.00/€20.00 for the ready tested version. This includes P&P to UK/EU. If you buy more then one, please ask for total price. They can also be bought via my webshop. I will keep a stock as long as anyone is interested. If you send this to kjell@sundby.com via PayPal , I will ship it to you as soon as possible. Please add you address and version you want in the PayPal note. Please see http://www.sundby.com/index.php/project ... t/?lang=en for more details. Feel free to email me on kjell@sundby.com if you have any questions. Last edited by sundbyk on Fri Aug 03, 2018 12:06 pm, edited 14 times in total. I ordered one. Payment send. Great work Kjell - I've made sure your PMs are enabled! I take it this won't work with the original Pi? as I don't have one of the more modern ones. 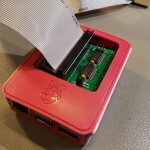 Prime wrote: I take it this won't work with the original Pi? as I don't have one of the more modern ones. 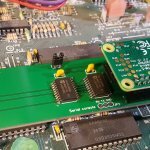 I have an original Pi as well but have been very impressed with now much faster the Pi3 boots and the in-built bluetooth and wifi makes it so much easier to use - it makes a terrific retro games machine with Retro Pi installed. Also I'd say the Pi3 is better value than the Zero if you add in the cost of all the adapter cables etc. It depends how over-clockable it is. The signal converter does not fit the original one. The signals are there, but the composite connector is in the way. sundbyk wrote: The signal converter does not fit the original one. It would fit I think if you used a 26-pin connector rather than a 40-pin connector. Just dusted off and got one of my old masters up and running. 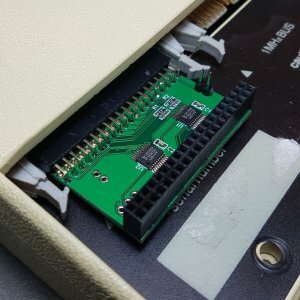 I just got the new PCB for the external version. Hope to get the master version early next week. I have just got the new PCB the support the Pi zero under the BBC. Have tested it and it works perfect. Will begin shipping the external and this one on Monday. How do I go about getting a few boards ? Time is an illusion. Lunchtime, doubly so! Thanks, my direct to beeb kits arrived today, but seem to have the wrong tube connectors. fordp wrote: How do I go about getting a few boards ? I got you email yesterday. Will answer it in a few hours. tricky wrote: Thanks, my direct to beeb kits arrived today, but seem to have the wrong tube connectors. There are 3 versions now and you ordered the external ones with was the first version, by mistake I presume. I have send you the new connectors and will update the top of this thread with better explanation. I have update the top of the thread to make better visibility. The version mid thread is the external one. Only difference external and fitted under is the connector. I have just check if it fits under the master and are sorry to say it does not. Oh, thanks for testing! Pity about the result. I will have to have a think. 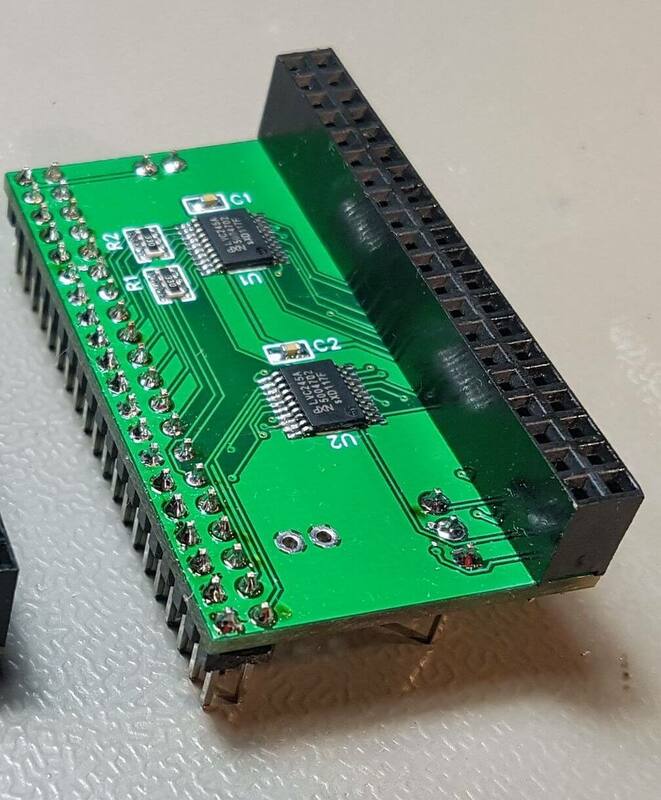 Does the kit version involve only through hole soldering? No surface mounting? The chips are surface mounted but it is no problem soldering them for hand. I do this a lot. The SOIC pads did not extend much beyond size of the ICs. Hand soldering is easier if the pads are a little beyond the size of the chip. I will hopefully get time to try them both soon. I've just PP'd for an assembed external one with the SD card. Now to get a new Pi!